What other tech are they hiding? How many have they killed via suppressed technology. About one in eight humans do not have access to clean drinking water, according to the World Health Organization. That's approximately 884 million people. The repercussion of this reality are a daily reality in developing nations: an estimated 1.4 million children perish each year due to diarrhea brought on by water-born bacteria. In spite of breathtaking advances in human technology, over 97 percent of the world's water is still undrinkable. This full-scale rendering may represent the future of clean water for those who have none. And while salty or impure water can be cleaned through existing water desalination technologies, the facilities needed are massive and consume vast amounts of energy. It's costly, too: purifying sea water can cost "over $1,000 per acre-foot," according to the US Geological Survey. Even worse, of the roughly 12,500 desalination plants operating as of 2002, their combined total output was equal to less than 1 percent of humanity's daily water consumption. All of these factors combine to effectively place clean water out of reach for most of the world's poor. SO let's do the arithmetic!! There are currently over a billon (with a b) = 1,000,000,000 million people with no water. There's no mention of wether they have any "clean" salt water, or not, either. This thing doesn't test, clean, sanitize, treat, de-Corexit or filter sea water, it just (with continual maintenance, not included) takes salt out of it during sunny hours on sunny days. Thus we need 12,500,000 of these $2,000 thingies, not to mention cleaning and getting access to the sea water to put into them. To "scale one up" 10X it's cost would rise at least 8X and it would need solar panels the size of a house. yup, 25 billion to have people create their own local water. giving less incentive for Bilderberg to use their Siemens' false flags to demolish their now outdated water systems. I think using free energy to get clean water is a good idea, and easily do-able. The Romans did it back in the day, so why can't we do it now ? Long before I woke up I was taking a Marketing class as part of a Graphic Design course. One day the teacher posed the question, "how would you market a cure for AIDS?" Well, there were a few random ideas put forward and I was becoming more and more angry. I finally told the teacher that I thought if there was a cure invented for AIDS or cancer or any major disease that there was a moral imperative that required those cures to be provided free of charge to those that needed it. I suggested that it was immoral to withhold a cure for AIDS for those suffering. My teacher patiently explained that as this was a marketing course the purpose of the exercise was not ethics but marketing. I was still outraged and I kept pressing the point that it was immoral to withhold a cure. After half an hour of arguing back and forth my teacher was fed up with my distracting the class from the lesson and he blurted out, "there will be no cure for AIDS invented unless there is a market for it." And so I learned one of my great lessons in life. There will be no cure invented if there is no market for it. Where is our bright and shiny future? 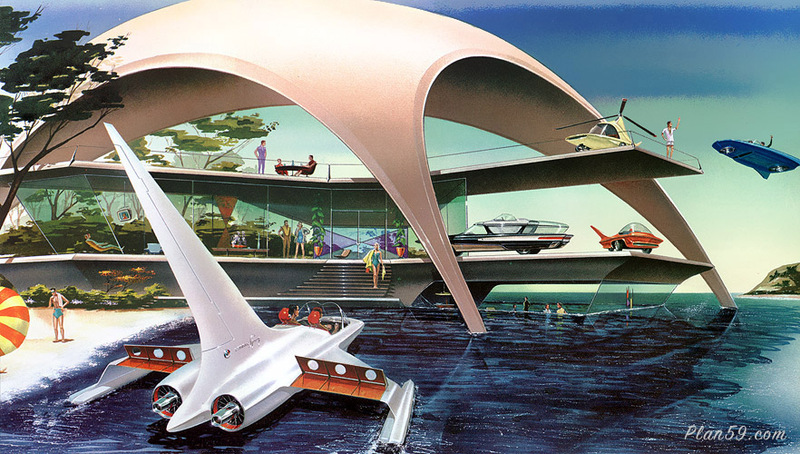 So what happened to the bright and shiny future of the 1950's futurists? The future where disease was cured not just suppressed or "managed". The future where every one got an education and money ceased to exist. The future where we all were equal; where boring, strenuous and dangerous jobs were preformed by amazing, intelligent, machines and leisure time was plentiful. What happened to this future? Well it never existed. It was simply the carrot on the stick. There will be no "cures" to our ills unless there is a market for those cures. Put simply, we will work for everything and that everything will never be a solution to any of our problems, merely a distraction from them. The expensive medicine we buy will not cure us, it will only elevate the symptoms and unbalance our physical system until some other symptom appears and that symptom will be treated the same. Yet another carrot. "look at what you have done!". 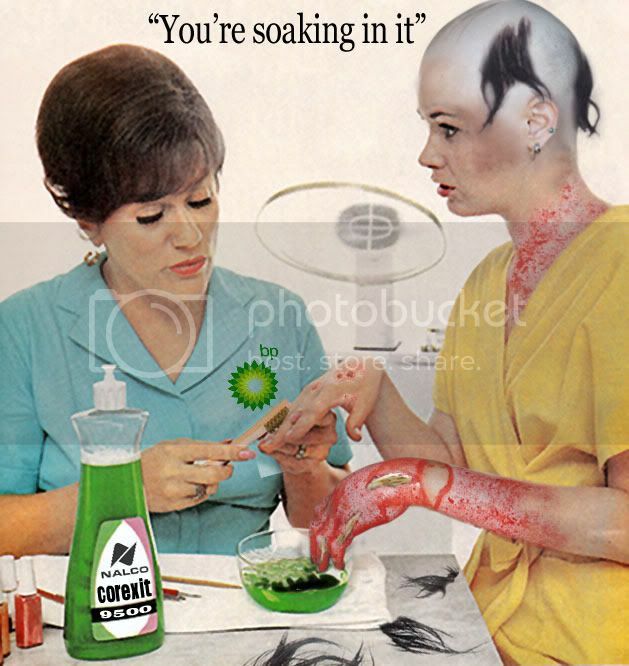 "You have polluted the earth". "Buy this green product to alleviate your guilt and save the planet." "look at what you have done!". "You have poisoned the sea". "Pay this tax as a penance." "look at what you have done!". "You have oppressed this minority". "Silence your words and bow down to them." "look at what you have done!". "You have consumed too much". "Now consume and feel better." The perfect image to illustrate this is a wage-slave/citizen watching "An Inconvenient Truth" on a 50 inch Plasma TV feeling frustrated and angry because "the earth is dying". Where are the good inventions? Who knows how many amazing inventions and discoveries are resting in corporation warehouses or copyrighted and filed away in their confidential R&D archives? The truth would no doubt be staggering. Their idea may or may not work, and I suspect it won't because it's powered by solar cell panels, and it's reverse-osmosis. That's not the traditional way of desalinization. The way they are going about is apparently an industry-friendly idea that could make factories wealthy with big government contracts under the guise of helping poor third world countries through government non-profits. What they don't want to talk about is solar desalinization via a solar distiller that can and is being done with just a solar hot water panel design. No actual solar cells, no electricity, just the same design as solar hot water heaters. It's very simple; just heat the water from the sun, and the resulting vapor/condensation collects on the top of slanted or curved surface and drains into a collection tank. Now you have clean distilled water, and everything else has been left behind. No electricity needed other than a small pump to move the water into the distiller. A system using a used shower door panel and a box to hold the water, along with some lines to provide the water is about all that's needed for producing about 2-3 gallons a day. A small solar cell panel could run the electric water pump for next to nothing. All of it for less than $100 total. Solar distillers are very reasonable and cheap to run, that's why they aren't talking distillers. I agree with Kilika. Reverse osmosis does get alot of stuff out but thats not enough to get real clean water especially water with flouride corexit and other stuff. Also it still needs filters that need to be replaced. So a distillation process would be best. But it isnt that easy to build like Kilika said. Ive seen a presentation several years ago about a machine that uses microwaves or something like that to distill the water. Can literally turn sewage into clean water but they never mentioned how much energy its using so its probably way too much to be of any practical use. Like the gadgets Alex is advertising for to get water out of the air. It would be neat but at 600W its just way too much energy thats needed. 750W wtf. Its like a remodeled coffee machine so how hard can it be to make a cheap, low energy distillation machine. Of course that stuff is supressed. But distillation only gets the stuff out that has a higher boiling point than water. Any chemical that has a lower one will stay in it. So it looks like you still need filters and something to get the acidic value down. Theres also ways you can make your own just search "make your own water distiller"
Well Mike Rivero brought up an interesting concept. With electrolysis we know we can split water in oxygen and hydrogen. There are quite many concepts out there that do that quite efficiently, like those guys who try to make their cars run on water. So you split the water, put it through one of those hydrogen cells or whatever they called in english to get some energy out of the process so you wont waste so much energy and the water that comes out should be the cleanest you can get. Add some mineral tabs and you have the best water you can get. There are over 325,000 gallons in one acre-foot. So $1,000/ac-ft is pretty cheap, like $0.00307/gallon, probably that's why they stated the price in acre-feet to make it sound like a lot. As the name implies, an acre-foot is one foot of water spread out over one acre (43,560 square feet). The bottom line is they don't want to feed the "useless eaters". who want to Save the World, always start with the only country that doesn't want saving? If they went to Africa with this stuff, they would be as gods. Not only will we pay you- you will so get all the Babes! For those that are interested in building a sun powered water distiller. Ive seen plenty of simple instructions for building one via you tube. The Dubai greenhouse (vertical farm) uses similar technology to evaporate sea water.